Responding to the growing need for conservation and passion for wildlife, Sayam U. Chowdhury has been working in behavioral ecology, research and conservation of globally threatened species in Bangladesh and abroad for the last ten years, especially on Critically Endangered birds including Spoon-billed Sandpiper, Baer’s Pochard, Endangered Masked Finfoot and vanishing riverine birds. His undergraduate degree in Environmental Science, coupled with international training and an MPhil in Biodiversity Conservation from the Department of Geography, University of Cambridge, has further cemented his footing in Conservation Science. Working in close quarters with local communities has helped him gather unique experiences as an advocate of nature, inspiring people and being inspired at the same time. Most rewarding however has been his work with the Critically Endangered Spoon-billed Sandpiper (identifying key sites, hunting mitigation in the wintering grounds in Bangladesh and supporting the ongoing work in Myanmar and China), which has now blossomed into a full-blown project and has been declared as Birdlife Species Guardian by Birdlife International. He is now appointed as Assistant Coordinator of the International Spoon-billed Sandpiper Task Force. 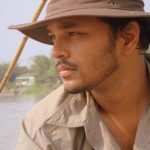 His other notable works include gathering scientific knowledge on the secretive Masked Finfoot, identifying conservation problems and actions to address those, leading forest bird monitoring programme at 15 PAs in Bangladesh and proposing two new protected areas in Bangladesh based on his work on riverine birds. In addition, Sayam has published conservation science related papers in recognized international peer-reviewed journals, numerous popular articles in national newspapers and one book on shorebirds of Bangladesh. He serves as a member to the IUCN Species Survival Commission and reviewer of several international journals.